Why use the same old boring rating scales? Jazz up your survey by allowing your survey respondents to give ratings using a star scale. With Survey Analytics it's easy to add a Star Rating question to your survey. 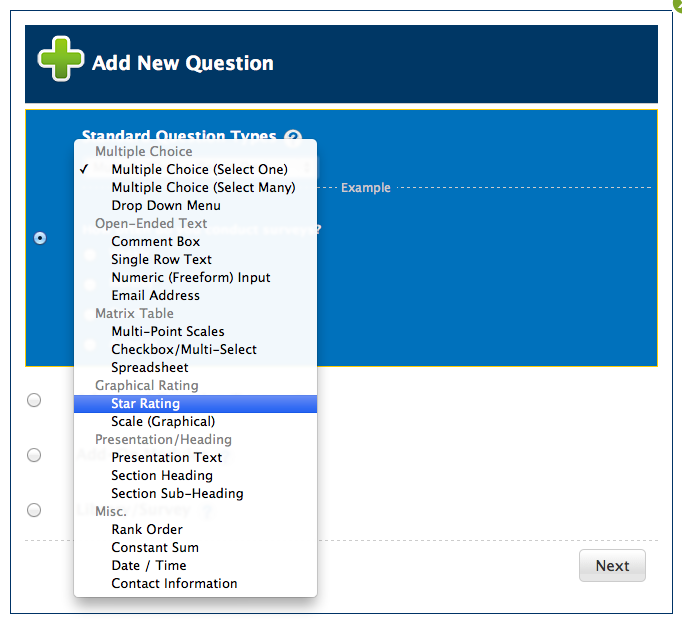 Just add a new question, then select "Star Rating" under standard question types. 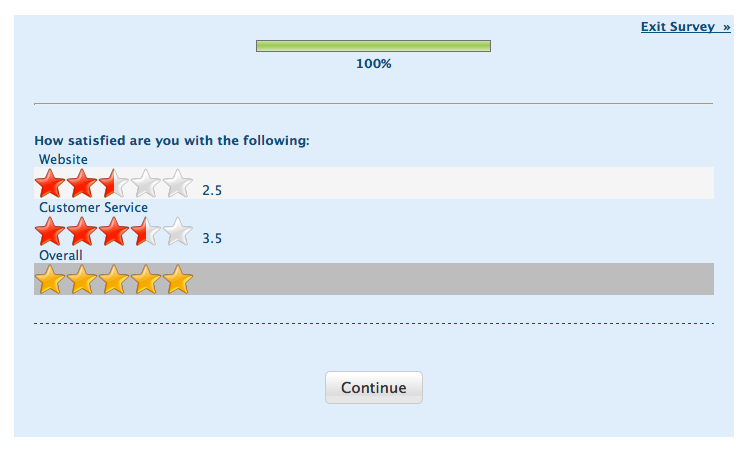 You can label each half-star rating with a custom label if you'd like. Once you've added the star rating question, you can mouse over the stars and they will be filled in with a yellow color. Once you click your rating, the stars will fill in red. Here is a video tutorial showing you how to do it. Also, here's a link to a Survey Analytics help file about star rating questions. Have fun with using star ratings with Survey Analytics!